How does a school break through the barriers tied to traditional breakfast in the cafeteria and provide easy access to a nutritious school breakfast? South Shores Elementary did just that and broke with traditional breakfast in the cafeteria. Traditional breakfast in the cafeteria does not reach low income students for many reasons. Among those reasons include: children not able to get to school early enough, feeling self-conscious going to the cafeteria for breakfast when their friends may not be or scared of being labeled by other children as someone that receives free or reduced-price meals. South Shores is a kindergarten through sixth grade elementary school located in Decatur, IL and served traditional breakfast in the cafeteria. When Eldon Conn became the Principal of South Shores last year, he noticed challenges in the school that derived from the way breakfast was served. A large group of students arrived right before the bell rang and wouldn’t have time to eat breakfast before class started, “If kids missed their bus and looked forward to breakfast at school, clean-up would already be underway in the cafeteria by the time they arrived.” Teacher instructional time was cut, “if kids arrived late to their classrooms and were not ready to settle down after breakfast in the cafeteria or if kids were hungry because they did not eat breakfast that morning teachers had to compete for their attention before lunch time started,” said Conn. 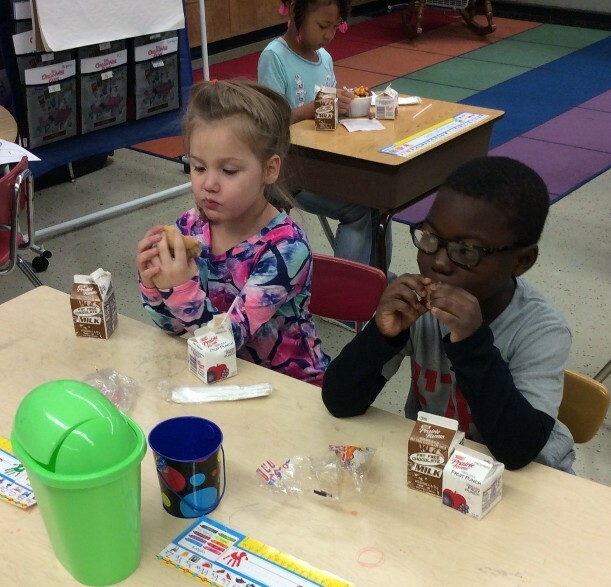 Numerous schools in Decatur School District 61 had already implemented breakfast in the classroom. Conn studied those schools’ breakfast models and instituted breakfast in the classroom for South Shores 2015-16 school year. South Shores was awarded a school breakfast grant to facilitate their transition to breakfast in the classroom. With the grant South Shores purchased hot bags for hot breakfasts, cold bags for milk and juice, carts to carry breakfast items to each classroom, and extra garbage cans. Breakfast in the classroom runs seamlessly at South Shores. All kids arrive at the same time, go straight to the classroom, put their things away, are served breakfast, and eat while starting their classwork. Garbage cans are stationed outside the classroom. 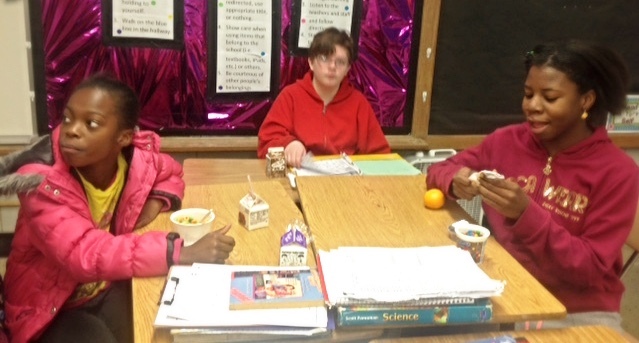 Teachers at South Shores speak favorably of breakfast in the classroom for giving them more instructional time. Conn expressed that, “kids aren’t getting into trouble in the halls anymore coming back from breakfast in the cafeteria or going to the nurse complaining of stomach aches because they are hungry.” Moving school breakfast out of the cafeteria before school starts and initiating an alternative breakfast program has increased access, decreased disciplinary issues, and provides a sense of community for students at South Shores. “I would tell anyone considering transitioning away from the traditional cafeteria breakfast model to definitely do it. Kids are more focused on school work and are generally more successful,” said Conn.